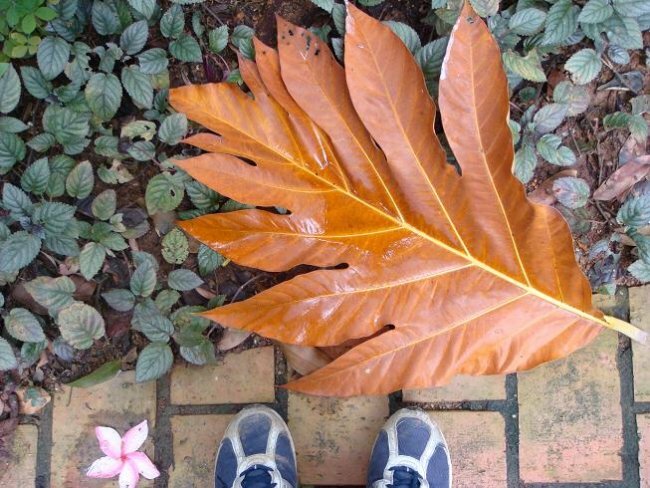 Another track from Singapore! 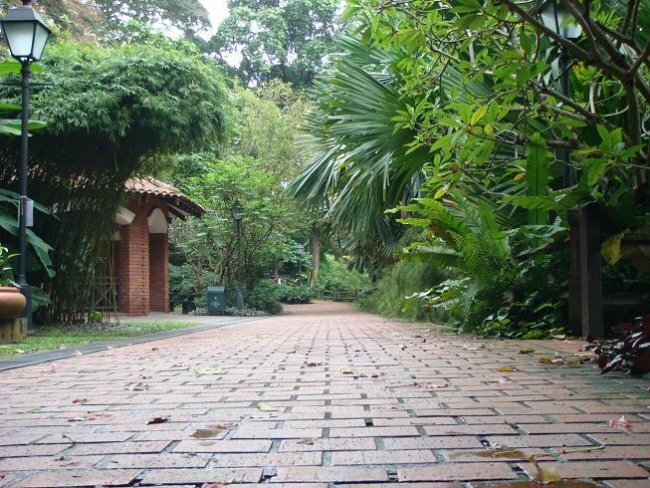 Today featuring Fort Canning Park - a small hill close to the financial district. The hill was recorded as Bukit Larangan prior to the arrival of Stamford Raffles in 1819, which means "Forbidden Hill" in Malay. Raffles was told of how local settlers were wary of ascending the hill as they believed it was the site of palaces built by their ancestral kings. The Keramat Iskandar Shah at the foot of the hill was believed to be the resting place of the last Malay king of the island, and was venerated by Muslims. When some of the vegetation was removed, ruins of ancient brick buildings were revealed, validating these folk legends. 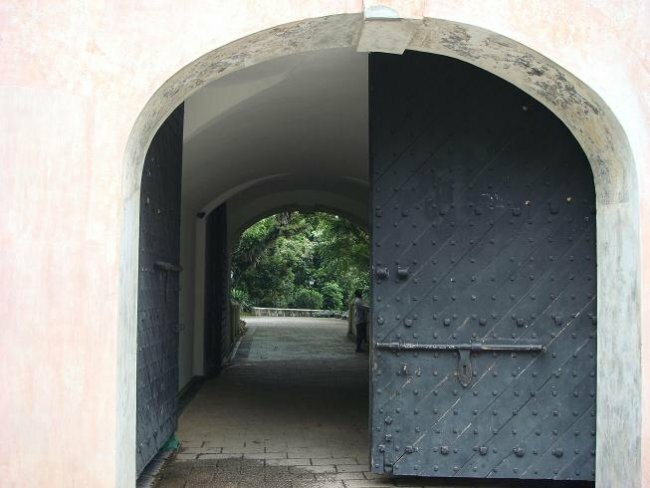 By around the late 1859s, during the British occupation, increased security concerns led to the hill taking on a military role with the demolition of the governor’s residence, and the building of a fort with an arms store, barracks and a hospital. 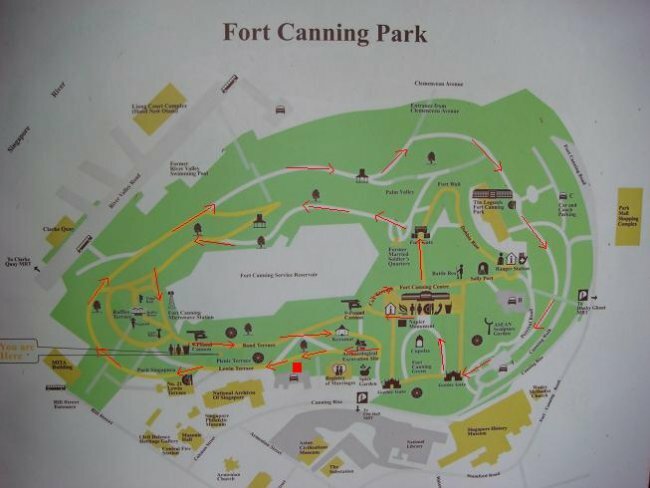 The fort was named Fort Canning. Today the site has been transformed into a park and a recreational area. It’s a nearly walking distance if you stay in Singapore’s financial district (Raffles Place, City Hall). It is bordered by River Valley Road, Clemenceau Avenue and Canning Road. By public transport: Nearby are the suburb train stations City Hall, Dhoby Ghout and Clarke Quai as indicated on the map. By car: There is a free parking lot indicated by the red rectangle, near the Philatelic Museum. Other parking possibilities should be available without difficulties. The track: The track is difficult to measure with Google Earth, since the greenery hides all the tracks. The presented one is around 3km I believe. It is all on small paths layed out with bricks. It is all the time up-and-down and there are even a few stairways to take as an additional difficulty. Starting from the parking lot, turn left and follow the outmost path, the Lewin Terrace. After nearly completing the first lap, pass the Legend restaurant, cross the Percival road and pass under the Gothic gate. Turn right towards the Fort Canning Center, go around it from it’s left side and climb the stairs in front leading to the Fort Gate. Pass through and turn left. Follow the track until the Raffles Terrace, pass the 9-Pound Cannon and continue on the Bond Terrace. Turn slightly red at the first crossing and descend to the Iskander Shah tomb. Turn right sharp and retrieve through the Spice Garden the departure point. Ready for second lap? Water point: In Fort Canning Center you can take water from the tap. Good to know: The proposed path leads across nearly all ’sights’ of the park. Enjoy the view on the city from Raffles Terrace. 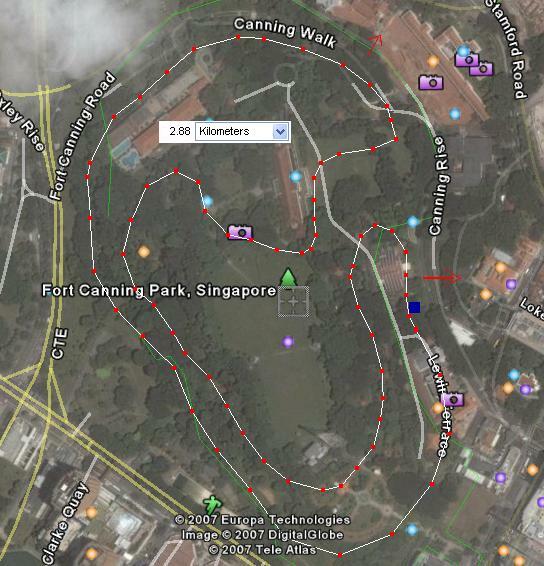 Google Maps: Fort Canning Park on Google Maps.